Our friends at Spoon University have outdone themselves this time. 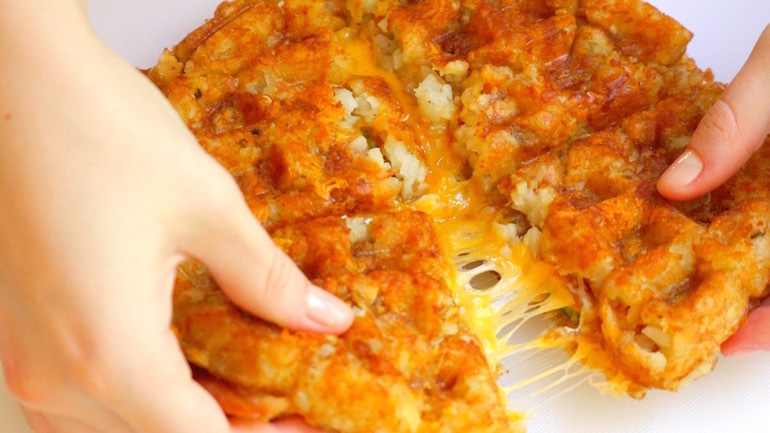 You can never go wrong with tater tots, but making them into a waffle and using them as bread is just pure genius. This killer recipe sandwiches cheese, bacon and jalapeño between two tater tot waffles. Crispy, gooey, spicy, and only 4 ingredients. You know you wanna try it.